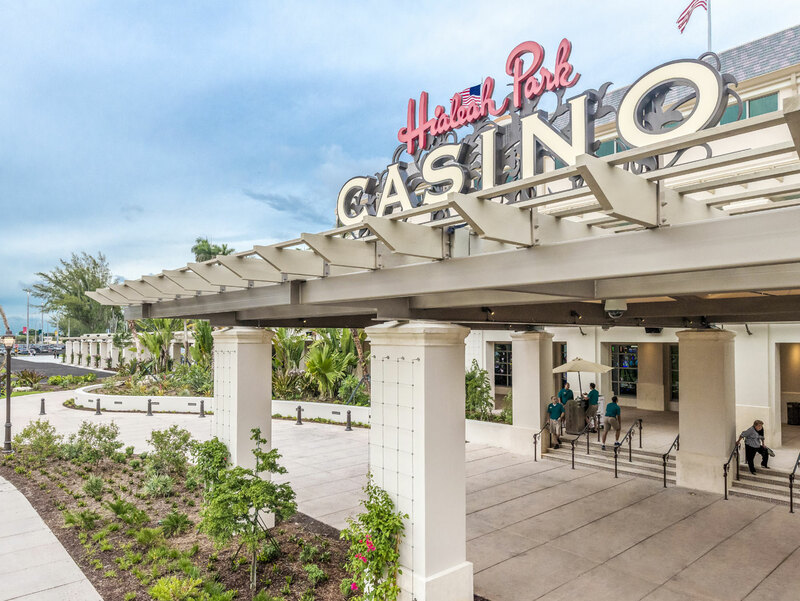 Hialeah Park Casino | Floss Barber Inc.
From the 1920s when Hialeah Racetrack opened in South Florida, through its heyday in the 1950s and 1960s, it attracted the high and the mighty, including Truman, Churchill, and Kennedy. Thoroughbreds Seabiscuit and War Admiral raced there. The New York Times called it “one of the grand palaces of the sport of kings – as elegant as Saratoga or Churchill Downs.” The romantic setting, also an Audubon bird sanctuary with a protected flock of flamingoes, is on the National Register of Historic Places. 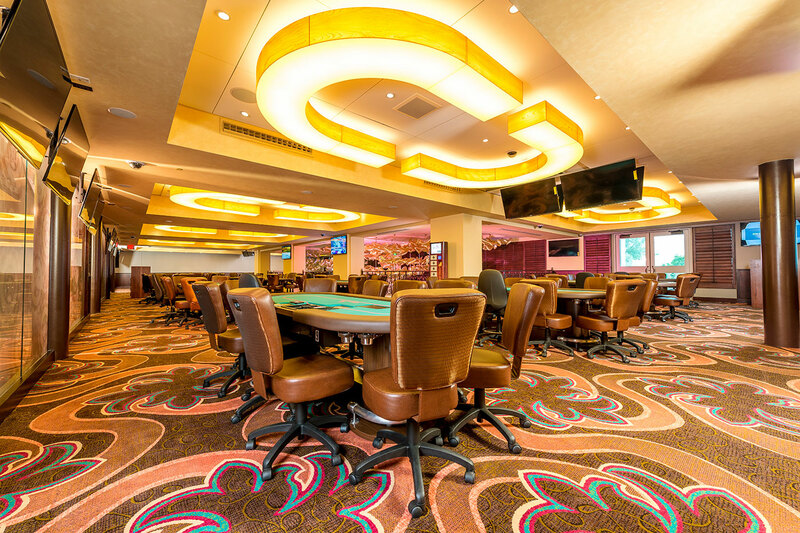 In 2014, owner John Brunetti wanted to jockey the property from racetrack to destination casino, emphasizing the inherent architectural beauty while adding contemporary complements. 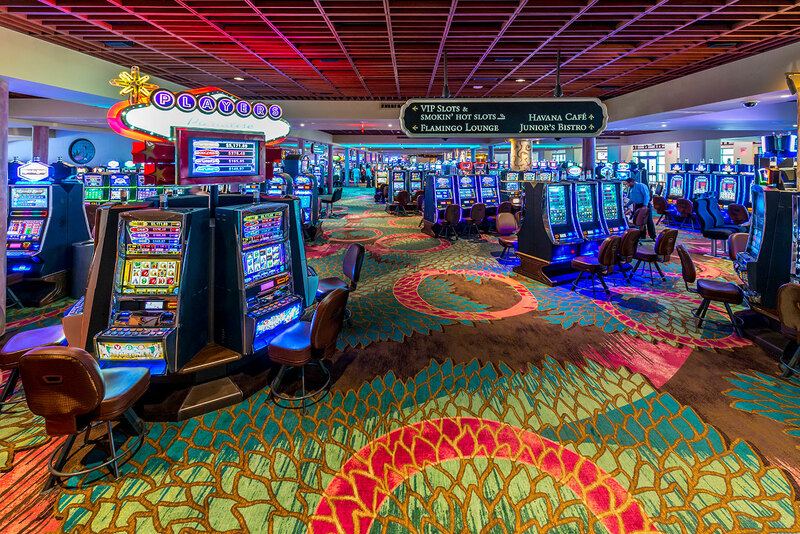 After massive renovations, Hialeah boasts a state-of-the art casino with 882 slot machines, 23 poker tables, electronic blackjack and roulette, and a variety of deluxe lounges, cafes, and gourmet eating areas. 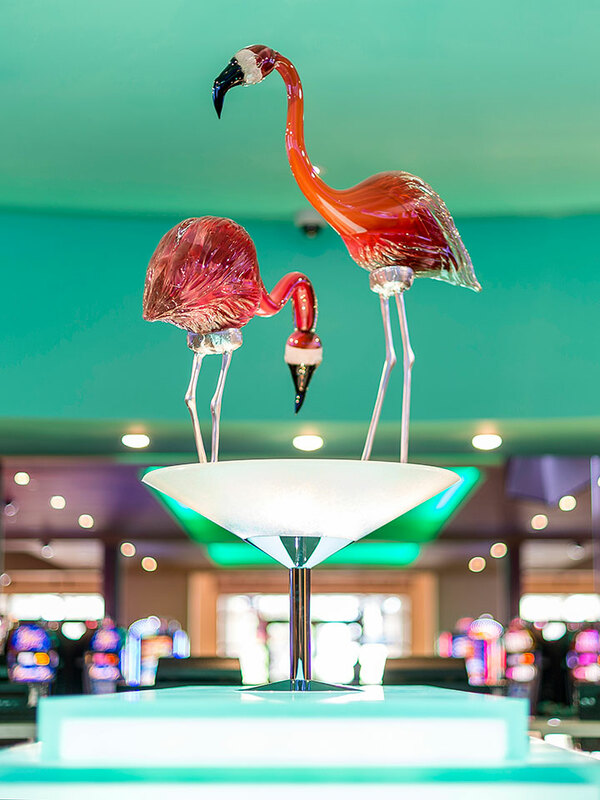 While working with Ewing Cole Architects, we based our adaptive reuse on the nearby Cuban influence, interspersed with flamingo statues. 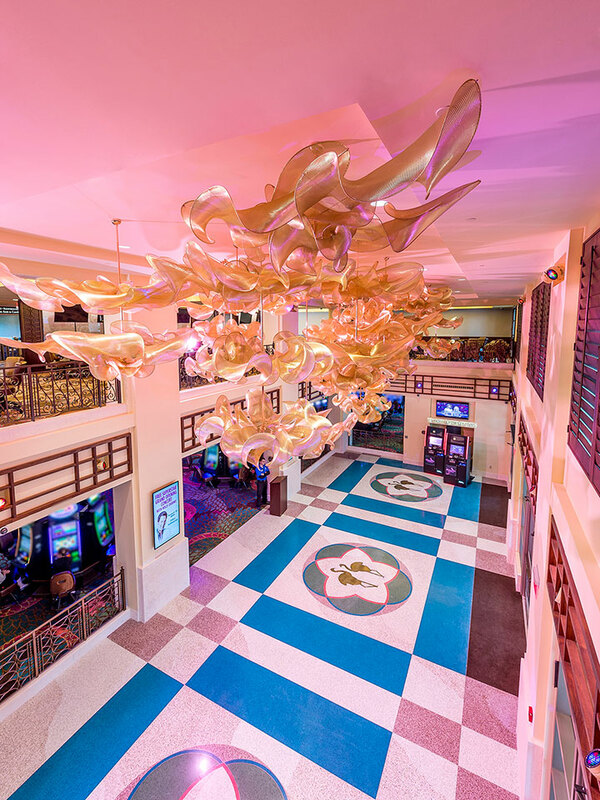 The bi-level mezzanine features a commissioned sculpture reminiscent of the large birds. 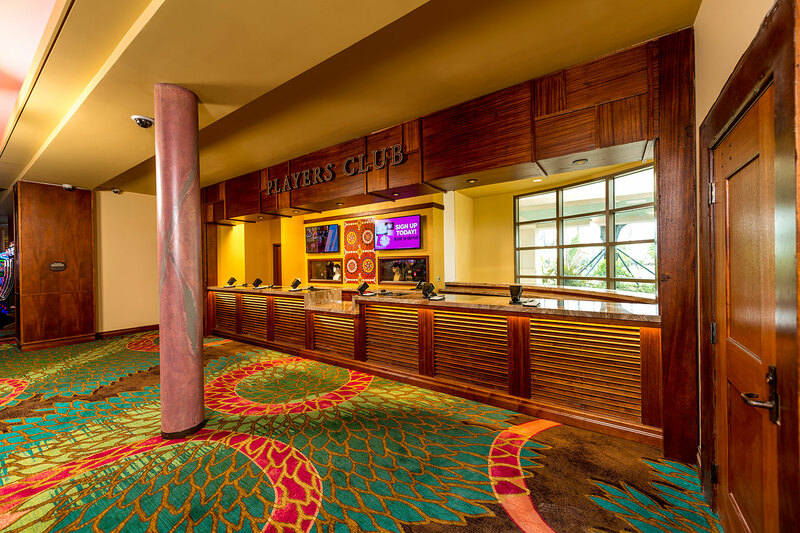 The warm wood and purple-pink in the foyer complement the flamingo-embellished terrazzo flooring. The art collection includes archived photographs of visiting Hollywood stars, including Frank Sinatra, Al Jolson, and Elizabeth Taylor.